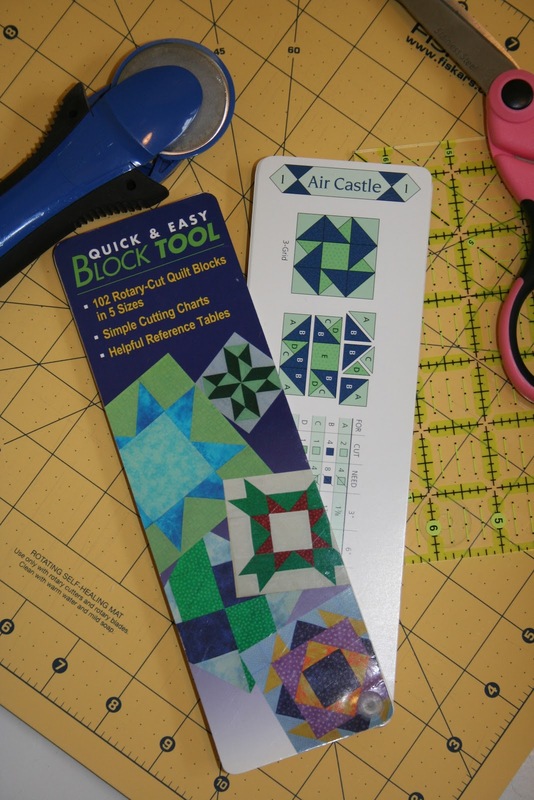 This morning I sat down to do the basket row of Lori's Row along and got sidetracked by her latest block and new quilt along, the Quilty Barn Along. I have a bundle of Fig Tree red, cream and green fabrics that was begging me to use them! The barn block uses an orphaned 6 1/2" quilt block. I didn't have any on hand so I got out my trusty "Block Tool". There are 102 blocks to choose from and can be made into five different sizes. A quick flip showed that one of the sizes was 6 1/2" so choosing was fun. Lori also has tutorials for 6 1/2" blocks as well. This is one of my favorite barn quilts that I found doing a google search. I love how it pops out from the white barn. And that curved roof is gorgeous! One of these days I may just hang one on the side of my house. What do you think? Let's start a new trend! My family history is farming. This is a photo of my Grandparents on their wedding day in 1928 (look at the size of my Grandpa's hands!!!) I never got to meet my Grandpa, he died when my Dad was six. I grew up living next door to my Grandma and her farm. She had an orchard for the longest time until she sold it off to housing developers. My parents purchased the lot across the street from her when I was just six months old. They still live in that house 51 years later. I have many memories of Grandma in her big hat out in the garden which sat next to the barn. When she passed I acquired her pitch fork. I don't have much use for it in the suburbs but do mulch with it. Nevertheless, it hangs proudly in the garage where I'm reminded daily of where I come from. 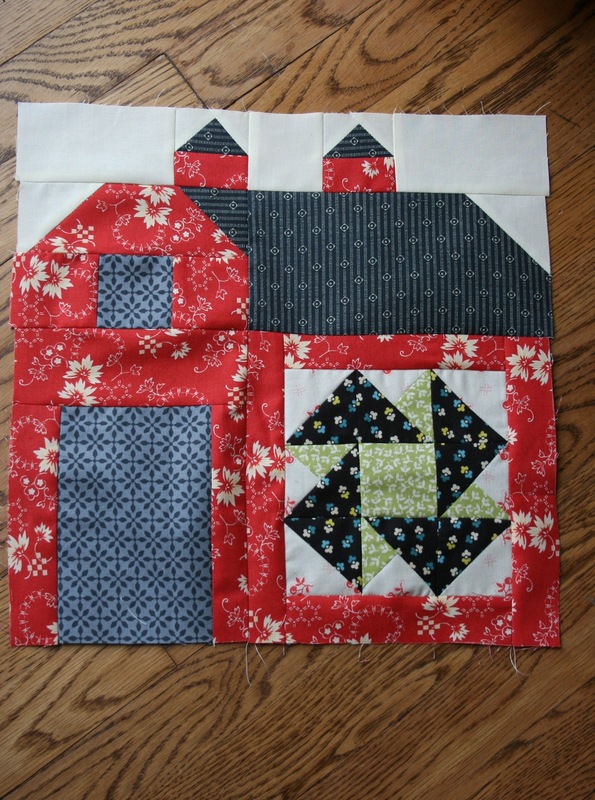 I think a barn quilt is just what this girl needs! What a gorgeous quilt, and I love that pic of your Grandparents. What treasured memories you have and how blessed you are to have grown up so close to your Grandma. I need to get the basket row done too - thanks for the reminder! Also, thanks for sharing your story about your family. Love hearing about others family lines!! Yes, those are certainly big hands! Sad that he died at a young age. YOu could hang the pitch fork in your living room with your barn quilt on it. What a great idea, Carol! Thank you! Love it, Renee. And the pic is too adorable. 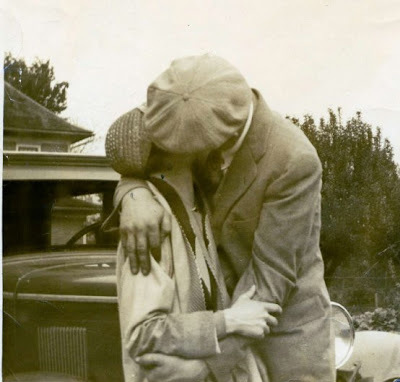 Oh, Renee, I just love the picture of your grandparents!! What a treasure. I recently received a picture of my mother and two of her sisters taken over 100 years ago when they were approximately 8, 6, and 3. Mother was the oldest. I was absolutely thrilled to receive it. 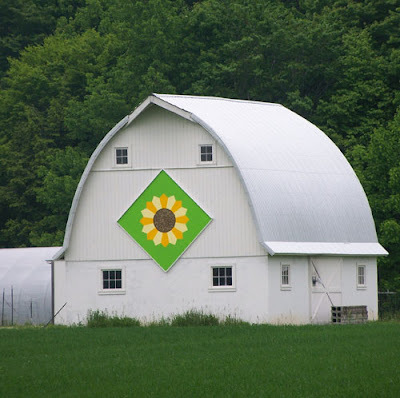 Your barn quilt will have special memories for you.